Brazilian lawyer, Luiz Eduardo Vidal Rodrigues, will represent L.O. Baptista Advogados in Beijing. On October 5th, long-standing firm L.O. 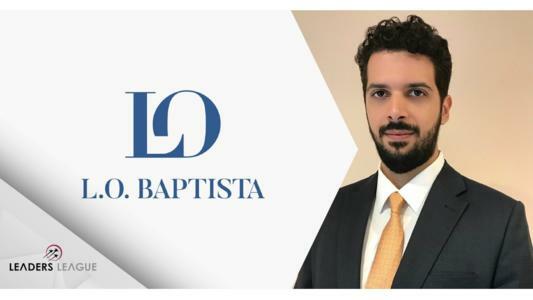 Baptista Advogados announced its expansion into the Chinese market via the hiring of Luiz Eduardo Vidal Rodrigues, a Brazilian lawyer who has been living in Beijing for the past two years and will now represent the firm locally. Partners Fernando Marcondes and Renata Castro will be responsible for coordinating the firm’s Chinese desk in Brazil. Luiz Eduardo Vidal Rodrigues holds a Bachelor of Laws from Fundação Armando Alvares Penteado (FAAP) and an LL.M. in Tax Law from Ibmec. He has built up approximately 15 years of experience as a lawyer working at firms such as Rayes & Fagundes Advogados Associados and Almeida Tavares, Silva e Vidal Rodrigues Sociedade de Advogados, where he was a partner before joining new firm L.O. Baptista. Mr. Rodrigues specializes in corporate law, M&A, foreign investments and corporate governance issues involving the infrastructure sector. Fernando Marcondes earned a master’s and a postgraduate degree in Civil Law from Pontifícia Universidade Católica de São Paulo (PUC-SP). A partner at L.O. Baptista since 2011, he is responsible for the firm’s Construction, Infrastructure and Real Estate departments. Mr. Marcondes is particularly well known for his track record advising on strategic arbitration mandates involving big-ticket energy, transport and mining projects. Furthermore, he is a member of several associations, including the Society of Construction Law (United Kingdom), the Dispute Resolution Board Foundation (United States) and the Brazilian Arbitration Committee (CBAr). Renata Castro undertook a Bachelor of Laws at Universidade Presbiteriana Mackenzie and holds postgraduate degrees in Corporate Law from PUC-SP and International Trade Law from Istituto Universitario di Studi Europei (Torino). Formerly an associate at L.O. Baptista, Schmidt, Valois, Miranda, Ferreira, Agel Advogados and Pinhão e Koiffman Advogados, Ms. Castro joined L.O. Baptista in 2012 and was promoted to partner in 2015. She has over 15 years of experience representing national and international clients in corporate agreements, M&A deals, corporate restructuring and start-up ventures. The trio will be responsible for creating stronger ties with Chinese companies seeking to invest in Brazil as well as Brazilian companies seeking to conduct business in China. Although their primary focus will be infrastructure investments, this will necessarily involve corporate, tax, labor, M&A and competition issues.